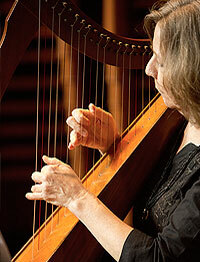 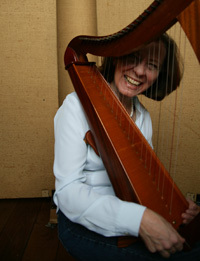 Silvia was born in São Paulo, where she began her study of piano and harp. 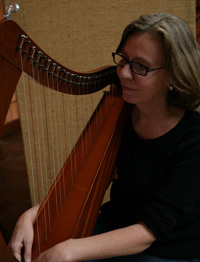 Among her piano were Henriqueta Ricardino and Fritz Jank, and she studied concert harp in São Paulo under Laura Ferraro, Elza Guarnieri and Henriqueta Ricardino, then in Paris with harpist and composer Annie Challan. 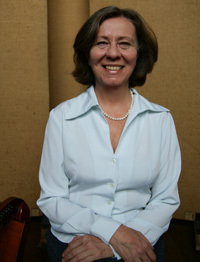 Professor of Music History and Art History at Faculdade de Música Carlos Gomes in São Paulo for 8 years. 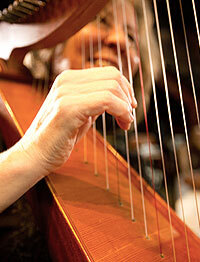 Designed and presented a radio series on the harp, programs produced and broadcast by Rádio Cultura FM of São Paulo. 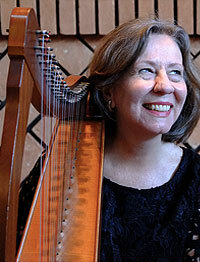 Silvia was harp professor at the Municipal School of Music of São Paulo as well as member of the Municipal Symphony Orchestra of São Paulo, and Tálea, medieval music group directed by Fernando Carvalhaes, Eldorado Music award winner 1986. 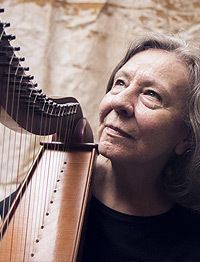 She is also a translator of modern Greek, particularly of the Cretan Nikos Kazantzakis’ work – she translated directly to Portuguese his books Captain Michalis and Zorba the Greek, both published in Brazil by Grua Livros, São Paulo.